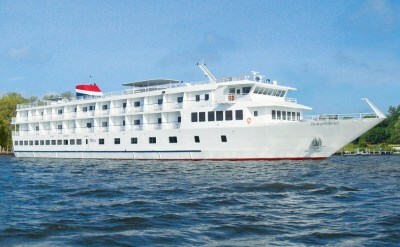 American Cruise Lines offers coastal cruises on new ships. The small ships are able to navigate America's smooth, inland waterways and dock in untraveled ports. American Cruise Line itineraries let you experience each area's local culture, history and natural beauty. Take one of the American Cruise Line small ships on a cruise from Baltimore to the little towns of the Chesapeake Bay. 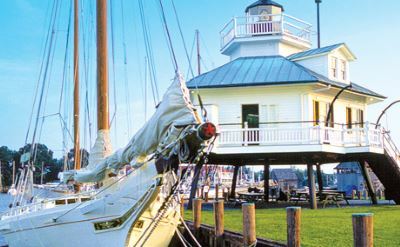 Or sail down the east coast on the protected waters of the Intracoastal Waterway. American's small ship cruises feature friendly all-American crew. Skilled chefs prepare feasts that highlight the flavors of the regions you'll visit. Enjoy complimentary cocktails and hors d'oeuvres before dinner. Dining is informal and you can sit with whomever you like. Each table has an outside view, so take your time and savor your cooked-to-order meal. All staterooms face outside and are the largest in their class - featuring private baths and large, opening picture windows. Some staterooms also have private balconies. 6-night Chesapeake Bay cruises on American Cruise Lines. Round-trip from Baltimore to Yorktown/Williamsburg (Virginia), Tangier Island (Virginia), Crisfield (Maryland), Cambridge (Maryland), Oxford (Maryland), St Michaels (Maryland) and Annapolis (Maryland). • 2019 departures: May 11, May 18, May 24, May 30, October 27, November 3. • 2020 departures: March 20, March 27, April 3, May 9, May 16, May 22, May 28, October 25, November 1, December 20, December 28. 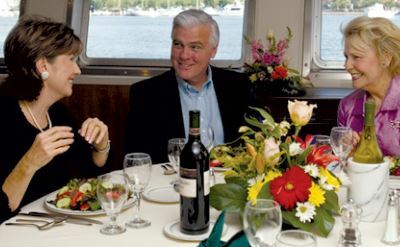 10-night Chesapeake Bay cruises on American Cruise Lines. This is the "American Revolution cruise" itinerary. Round-trip from Baltimore to Norfolk (Virginia), Williamsburg (Virginia), Yorktown (Virginia), Washington (DC), Mount Vernon (Virginia), Cambridge (Maryland), St Michaels (Maryland) and Annapolis (Maryland). • 2019 departures: April 6, April 16, April 26, May 6, November 4, November 14, December 23. • 2020 departures: April 11, April 21, May 1, November 12, November 22. 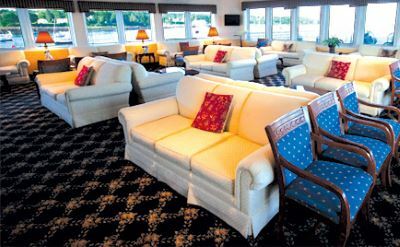 14-night East Coast Inland Passage cruise on American Cruise Lines. One-way from Baltimore to Jacksonville (Florida). Visit St Michaels (Maryland), Norfolk (Virginia), Kitty Hawk (North Carolina), Beaufort (North Carolina), Wilmington (North Carolina), Charleston (South Carolina), Beaufort (South Carolina), Hilton Head (South Carolina), Savannah (Georgia), St Simon's Island (Georgia), Jekyll Island (Georgia) and Fernandina Beach (Florida). • 2019 departures: November 2, November 9. • 2020 departures: October 31, November 7.